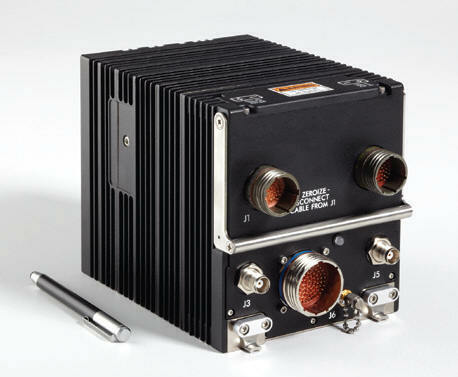 CEDAR RAPIDS, Iowa — Data Link Solutions (DLS), a joint venture between Rockwell Collins and BAE Systems, has added the TacNet™ Tactical Radio (TTR) to the Link 16 product line offered to its global military aircraft customers. The move expands the Link 16 product capability to include vital Link 16 situational awareness communication to the smallest, space-constrained platforms that previously had no such capability. DLS remains the only Link 16 provider to offer all terminal variants to the worldwide customer base. To date, DLS has sold more than $2 billion worth of Link 16 products to allied forces around the globe during the joint venture’s 20-year existence. Earlier this year, TTR was used during a series of successful flight tests at Nellis Air Force Base in Nevada to help demonstrate how an open-systems architecture can enable improved interoperability between next-generation and legacy fighter aircraft. Lockheed Martin and a select industry team participated in the flight tests, which concluded a year-long independently funded research and development effort called Project Missouri. The tests between an F-22 and the F-35 Cooperative Avionics Test Bed (CAT-B) were flown to assess the capability to share real-time information among varied platforms. With its small size, high power output, and adaptability to various operational environments, TTR is integral to protecting allied forces by virtue of providing a common operating picture through Link 16 networked communications. Platforms and users that benefit from the radio include unmanned aerial systems, rotary wing aircraft, forward air controllers, military vehicles, mobile and transportable ground stations and small maritime assets — platforms that have historically not had access to Link 16 capability. As the primary joint data link for U.S. and coalition forces, Link 16 provides near real-time, jam-resistant data communications. Link 16 also integrates command and control data including the sharing of targeting and situational awareness data among joint and coalition partners. Data Link Solutions, a joint venture of Rockwell Collins and BAE Systems, has been a leading supplier of Link 16 terminals and software, as well as logistics and support services for more than 20 years, with over 5,000 Link 16 systems delivered worldwide. DLS has provided MIDS terminals for more than 40 different platforms in 28 countries and is the only company to provide all LVT variants including the Fighter Data Link and the LVT-2/11 and has added MIDS-JTRS to its offerings.